Notepad++ is one of the most popular word typing software. Sometimes it is really necessary to change its font size for a better views. In this tutorial three method has shown on Changing Font Size In Notepad++. #1Increase font size scrolling mouse wheel: Hold "Ctrl" and scroll up mouse wheel for big size & scroll down small size. #2Using keyboard: Hold "Ctrl" and press "+" for big size & "-" small size. #3 Notepad++ Style Configuration: Goto Menu > Settings > Style Configurator and Set your desired Font size. 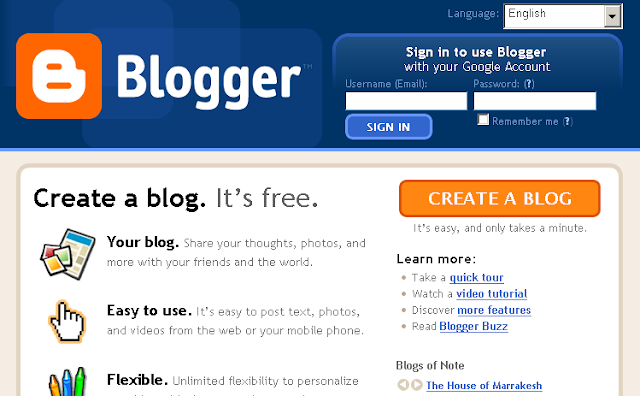 #1 Type "Blogger.com" on your web browsers address bar and hit "enter" on keyboard. #2Sign in using valid access details. If you don't have a google account yet, create a new one. #3 Click on "New blog" button. #4 Register a new blog: Enter "Title & blog URL" > Select a template which fits your blog best > hit "Create Blog" button once highlighted. #5 Congratulations, your blog has been created successfully. Now you can go ahead making your first post.